Speakeasy (powered by Wavelink) The fastest, easiest way to add voice to any applications. Learn how you can benefit from voice-enabled devices in your business. Why Speakeasy, powered by Wavelink? We'll tell you. TaylorMade went from 41 picks per hour to over 180 with Speakeasy. We are seeing tremendous benefits from the Speakeasy implementation that will result in significant ROI. Speakeasy means you don't need to abandon investments you've already made. You're enhancing their value. Speakeasy works with your existing enterprise systems (WMS, ERP, etc.) and mobile apps—whether telnet or web apps. Add Speakeasy to your existing mobile deployment in under a month. 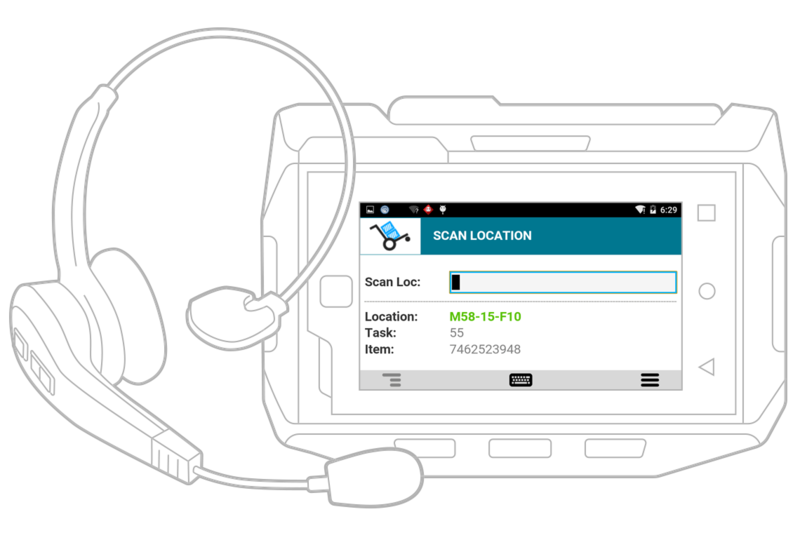 Add voice where voice makes sense—alongside barcode scanning, key entry, and more for an optimized data-collection solution. No need to train Speakeasy to recognize unique accents or dialects. Users pick up any enabled mobile device and get to work. Eliminates the need for a server to handle voice encoding and decoding. Add voice without incurring costly modifications to your enterprise system. Middleware or system interfaces? No way! Speakeasy leverages your mobile app to interface to the host, eliminating the need for expensive add-on software. Your mobile device has the power to handle voice processing, so there's no need for dedicated voice hardware. What's greater than your productivity gain? The level of service you'll be able to offer customers. For picking apps, receiving, cross-docking, and other tasks, adding voice helps workers keep moving—doing more, faster. Whether you're running a DC, operating a 3PL business, or anything else in the supply chain, Speakeasy can unleash the power of your mobile-productivity initiatives. Speed up your supply chain. Add voice to start saving money and making your employees more productive. Ask how Speakeasy can boost your perfect order rate.